Sometimes we choose incorrect name for virtual machine image while creating the image by using VMWare Player (or VMWare Workstation) software. Over the period we may end up with creating multiple instances of same virtual machine image with custom settings. In such cases, it would be good if we follow certain naming conventions for each virtual machine we create. Now the questions is how to change the name of virtual machine image those are already created earlier? In this article learn how manually you can rename VMWare Virtual Machine image that was already created or available. For better understanding, assume that you have created a 32bit virtual machine image and named as “Windows 7 Virtual Machine”. After few days, you have created another virtual machine for 64 bit processor and named as “Windows 7 Virtual Machine 64”. 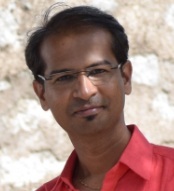 But, later you found that naming convention used for earlier created virtual machine (32 bit) image not unique compared to newly created virtual machine image name. In such cases, you think about renaming image name “Windows 7 Virtual Machine” to “Windows 7 Virtual Machine x86” just to keep consistent naming conventions. For the demonstration purpose, I have a Virtual Machine image with name “Windors 7 Virtual Machine”. At the end of this article you will see that it is renamed to “Windors 7 Virtual Machine x86”. 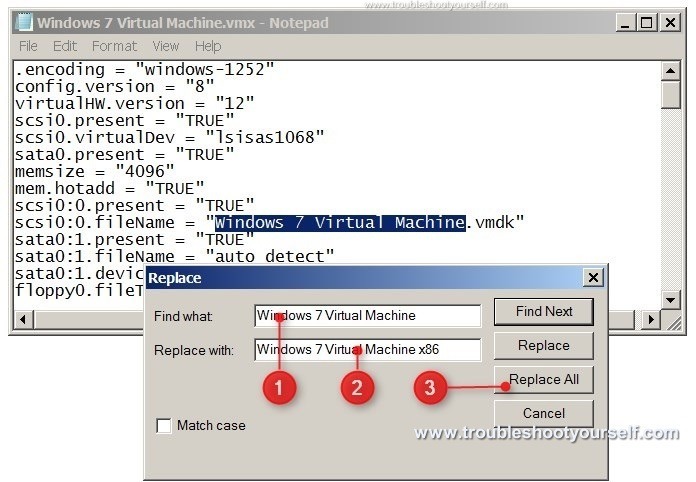 There are mainly two steps involved in renaming virtual machine image name with new name. Find the current virtual machine name occurrences in .vmx (VMWare configuration) file and replace the same with new virtual image name. 1 Open .vmx (VMWare configuration) file in notepad. 2 On the.vmx configuration file, locate current virtual machine name which is same as the .vmx file name. Copy old Virtual Machine image name [Ctrl + c]. 1. Enter old virtual image name. 2. Enter new virtual machine name. 3. Click on Replace All button. 4 On successful replacement, verify the .vmx file whether all occurrences of virtual machine image name replaced with new image name. 5 Save the .vmx file and exit. Rename all VMWare image files such as .vmx, .nvram, .vmsd, vmdk, vmxf files with the new image name. 1 Rename all VMWare image files such as .vmx, .nvram, .vmsd, vmdk, vmxf files with the new name. Once step 1 and 2 are performed, you can open the .vmx file on VMWare player. The renamed VMWare virtual machine image will power on with out any issues.